The inspired crystal glass design of the Eden Ceiling Lamp by Eichholtz creates a beautiful lighting accessory which will enhance a range of classic interiors. 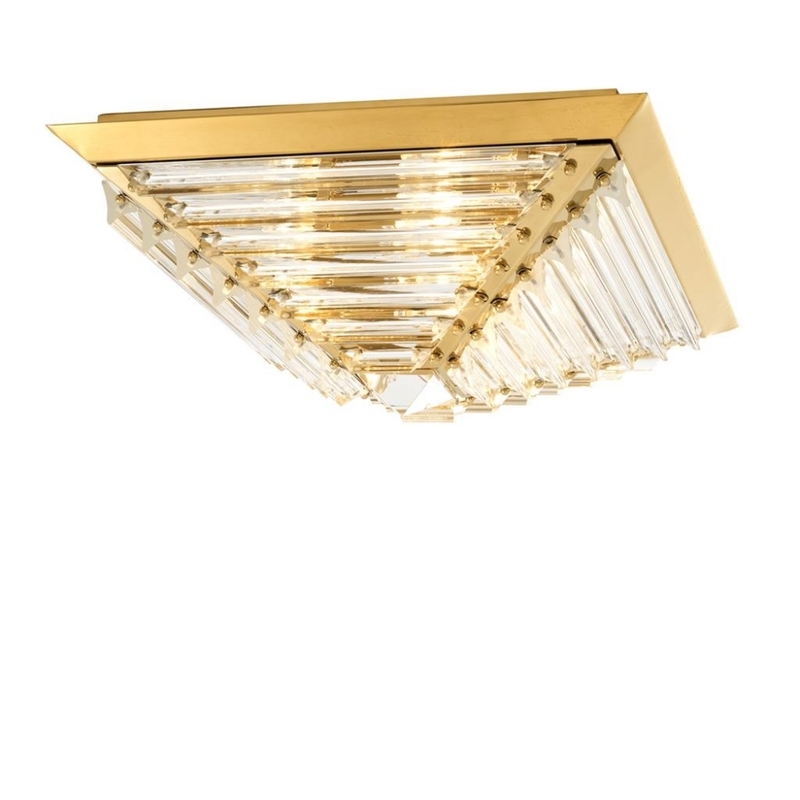 Available in a choice of either Gold or Nickel finishes, the Eden Ceiling Lamp will look stunning in a 1920’s bathroom suite with lush green palms, contemporary roll top bath and Deco tiling. Or style with crisp white linens and rich wallcoverings in an intimate dining room. Perfect for Boutique Hotels, Yachts, Spas or Office Reception areas the Eden Ceiling Light offers a practical and versatile lighting scheme for the home or business. Dutch interior design house, Eichholtz pride themselves on their eclectic collection of beautiful furniture, lighting and accessories carefully selected from around the globe. Founder, Theo Eichholtz travelled the world from a young age developing a discerning eye for craftsmanship and style, and sources only the finest of the finest items to add to their luxury brand catalogue. Here at Uber, we have an extensive directory of Eichholtz luxury homewares and other, similarly high quality interior brands to choose from. Why not contact our expert interior design team for further details and inspiration to help you find the perfect curated collection for your next home, yacht, bar or hotel design project?